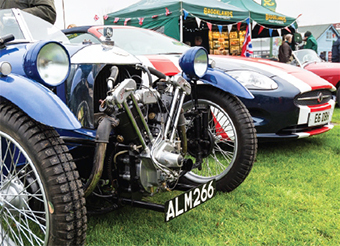 IT MAY be a New Year, but the same motor-inspired fun is still fuelling the good times at Brooklands Museum, as normal. The January 1 gathering got underway with a poignant ceremony marking the centenary of the formation of 8 Squadron RFC at Brooklands back in 1915. 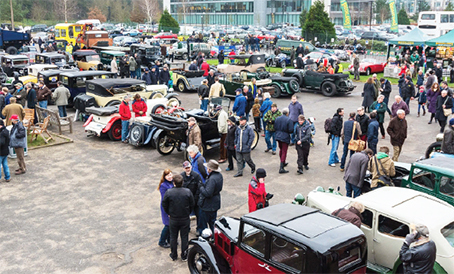 And as if the array of classic, modern classic, vintage, veteran and supercars wasn’t enough to whet the whistle, petrolheads could even cash-in on some January sales. The deal of the day came in the shape of the stall of Judi Trow and her husband Peter. 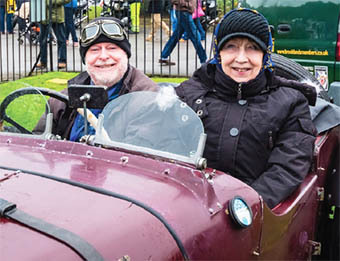 The pair are moving from their home in Chobham, so their 25-year collection of motoring magazines simply had to go, and guests of Brooklands, it seems, were more than happy to take them off their hands. 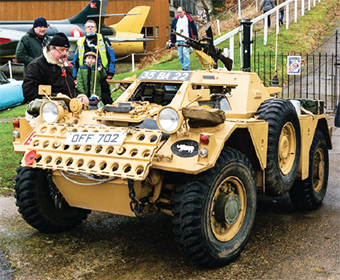 But in typical fashion, the museum came up with something a little different with which to kick-start 2015.
ing triumphs was one armoured vehicle that certainly had the guests saying ‘Tanks!’ to the organisers.